Chimpanzees are famously pretty clever fellas. We like to think we're smarter than they are, but the chances are that they could outsmart us in plenty of situations. That's what happened in Belfast Zoo on Saturday, when the zoo's chimps finally worked out how to escape their enclosure and then spent a while roaming the zoo at large. 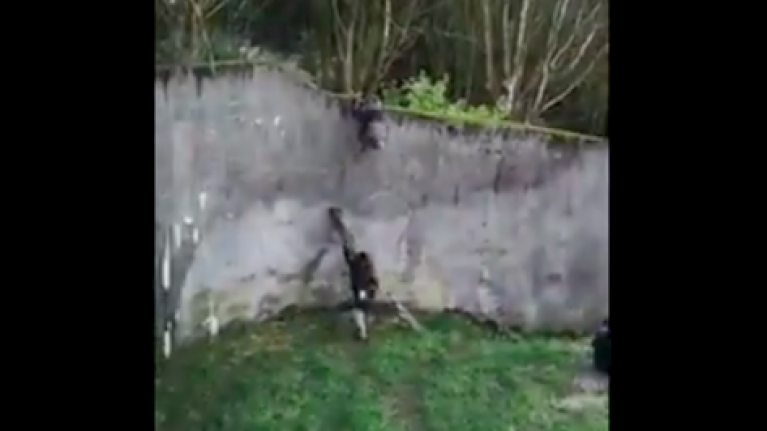 Footage captured by the zoo shows the chimpanzees using branches that fell during Storm Erik to climb up over the wall of their enclosure. It has since been confirmed that all of the chimps are accounted for and back in the enclosure. Which is a little bit sad, if you ask us.